Pretty bold words from Martin Fichter, the acting president of HTC America. In a sit down chat at the Mobile Future Forward conference in downtown Seattle, Fichter unveiled the results of an unofficial poll he had completed on the dorm floor that his daughter lives on at Reed College here in Portland. He checked with a group of kids who all said they did not own an iPhone because they are no longer cool, and that people like their Dads own them. Most of them had HTC, Samsung and even random Chinese devices instead of Android’s biggest foe. It’s hard not to chuckle at that quote and the fact that it is surely to enrage a certain mobile OS population. Do I think the iPhone is no longer cool? Wrong person to ask probably, so I will say this. It may not carry the same cool factor that it once did because of the number of other cool options out there, but that doesn’t mean the device is on the outs. In fact, depending on who you ask, the device is still very cool. Customers that have been tied to carriers other than AT&T for all these years that are now (VZW) or will be (Sprint) getting the iPhone certainly seem to think it’s pretty damn cool. Unfortunate as that may be. With that said though, there is no denying that Android devices have become some of the new it things to have. The original EVO had a massive chick following (hah, had to), the word “DROID” is still helping to carry the OS even with non-techies, and the buzz that continues to build each time the latest Android superphone leaks has spanned beyond just nerds. 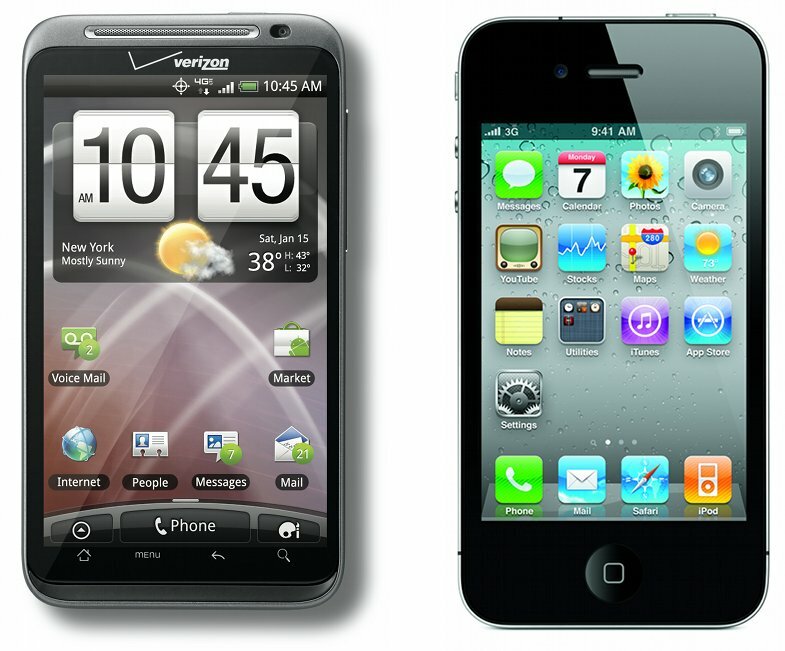 And seriously, people do like having options now and not having to choose between just the iPhone and the LG Voyager. Oh, old people are flocking to iOS too. Watching them figure out how to tip at a restaurant with some $2 app has become quite the running joke in our household. What do you guys think? iPhone no longer for the cool kids on the block?